The quintessential saree has remained one of the most favourite canvasses for Indian weavers. Craftsmen from all over the country have found an unadulterated freedom of expression in this nine yards of fabric, and perhaps this is why India is home to some of the finest handloom fabric traditions since time immemorial. One such beautiful weave, the Maheshwari saree, comes from Maheshwar, a city in Khargone district of Madhya Pradesh. With its rich history, the town falls right in line with its famed Maheshwari fabric. Let’s give you a peek back in time. 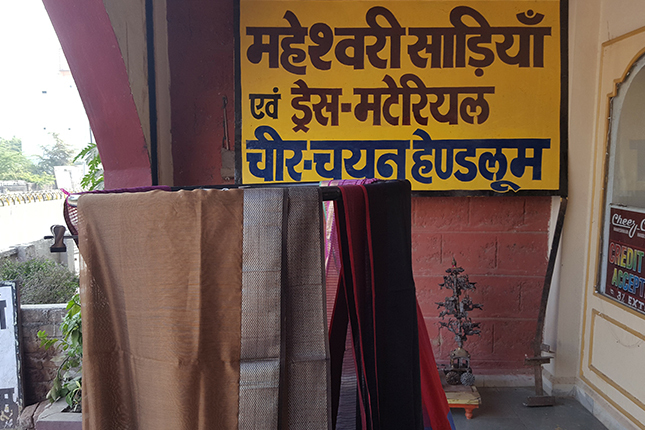 A centre for prime handloom weaving since the 5th Century, Maheshwar, an ancient town on the banks of Narmada, was originally the capital of the Malwas during the Maratha Holkar reign till January 1818, and enjoyed a considerably elevated status in terms of royal interests. It was this encouragement by the royal family that the Maheshwari saree came into being. Legend has it that Rani Ahilya Bai Holkar employed a special team of craftsmen from Surat and Malwa to design an exclusive nine yard saree that could be gifted to her relatives and guests who visited the palace. 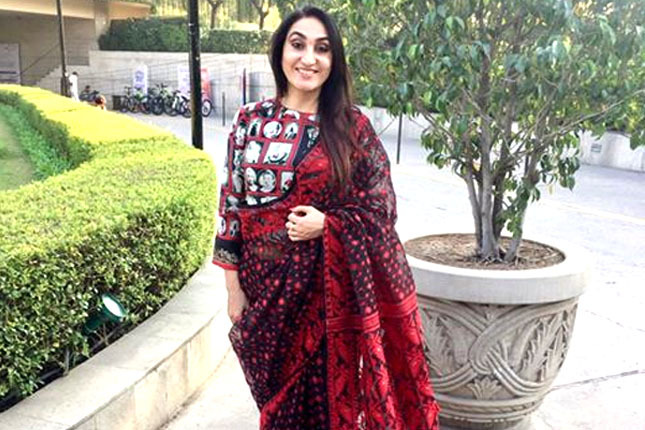 With the first saree conceived and designed by Her Highness herself, Maheshwari sarees went on to become a huge hit in the royal and aristocratic circle. 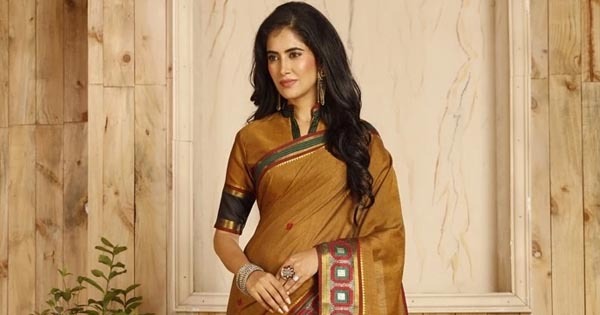 Following this, the production of Maheshwari sarees caught up, and these graceful sarees soon started becoming popular with women of all ages. 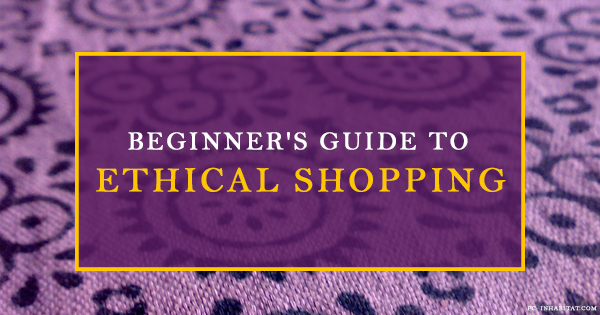 Today, this beautiful textile is one of the best sellers in both national and international markets! 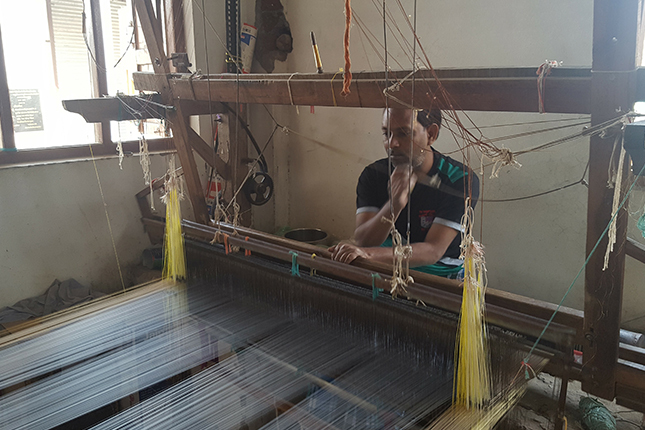 Two types of handlooms are used in Maheshwar – the older pit looms which are heavy and fixed, and the newer frame looms with lightweight metal frames. The latter is the more popular type now. 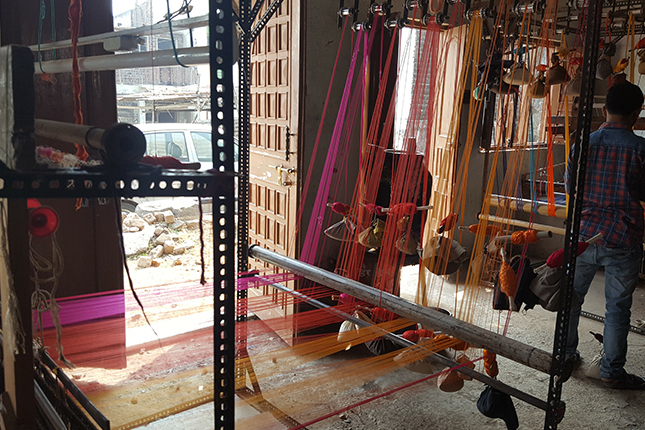 The dyed and untangled yarn is now ready for the tedious and time-consuming process of weaving by master weavers. After dyeing, the yarn is normally received by the weavers in the form of bundles. Both in the case of weft and the warp, the thread needs to be freed from tangles and stretched in order to make them tighter. They are then are taken through a process of reeling by using a charkha, thus converting the bundles into small rolls. In case of warp, a big motorised charkha is used; in case of weft, a small, hand‐driven charkha is used, which makes bobbins. 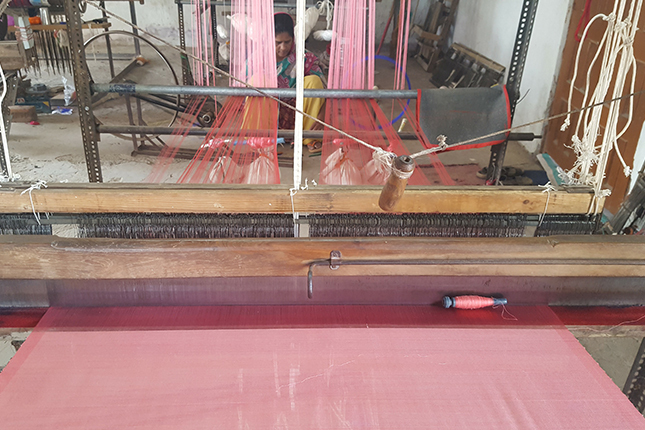 In the case of the warping of the silk threads, a more delicate process involving an octagonal cylindrical frame and hooks is used.The fabric was dyed with naturally extracted colours and zari and kinari was used to enhance the richness of this weave. Weavers also used gold or silver threads and gemstones to embellish the intricate patterns and add shimmer to the saree. 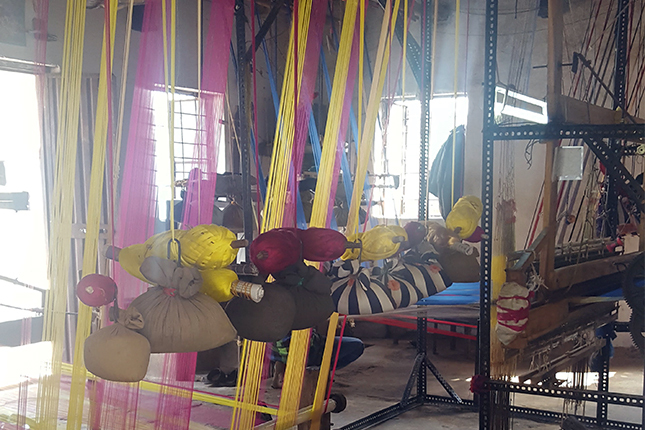 However, now copper coated nylon wires have replaced the zari and time constraints leave little room for the process of slow natural dyeing. 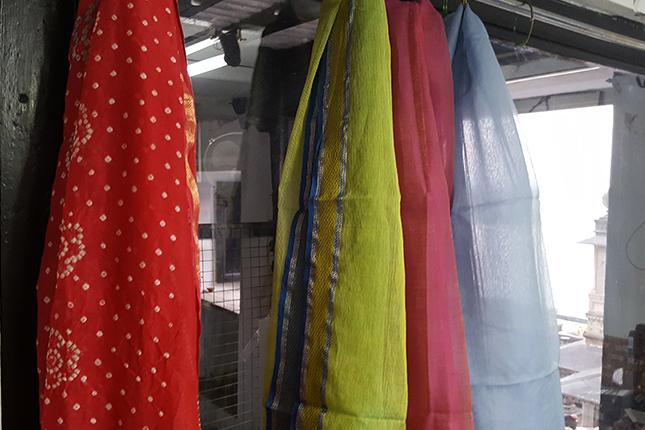 Apart from sarees, Maheshwari fabric today is used for kurtas, shirts, stoles, dupattas, etc. Since the fabric is airy and lightweight, outfits made of this fabric are perfect for the Indian weather, making them an absolute favourite. 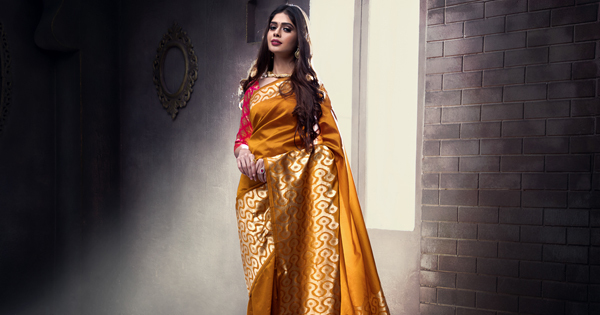 Besides its understated elegance, these sarees are loved by women for its glossy finish and light weight. Though originally done only in silk, Maheshwari sarees are now available in cotton, silk cotton and even wool. With fine cotton yarns in its weft and silk in the warp, this light and airy fabric has the soft lustre of silk. The light fabric makes it a perfect choice for women all through the year, something you can’t do with textiles like Kanjeevaram and Banarasi. The most interesting part of a Maheshwari saree is the pallu. The pallu is done up in bright colours like magenta, pink, green, mauve, violet and maroon. These are particularly distinct with their five stripes, two white and three coloured ones, alternating. 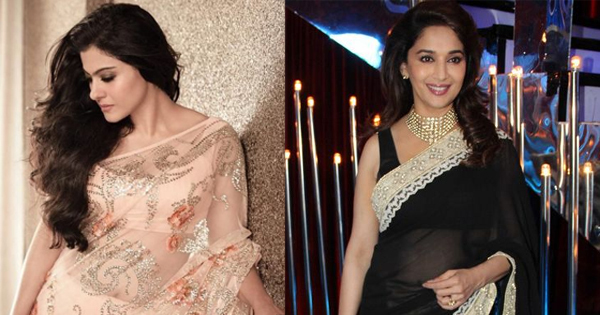 Another highlight of Maheshwari sarees is their reversible borders, that can be worn on either side. 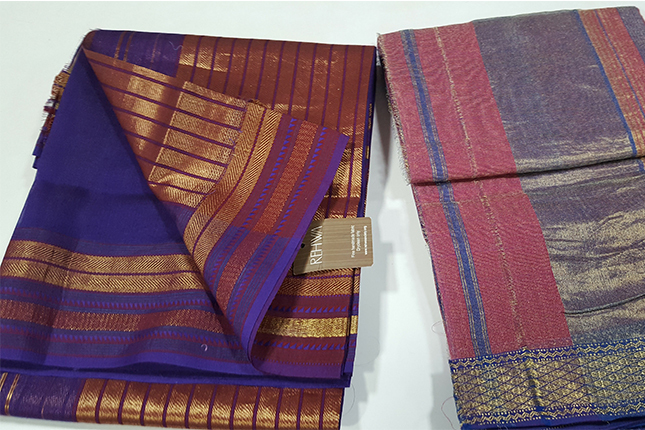 Originally, Maheshwari sarees were woven in earthy shades like maroon, red, green, purple and black. Weavers used only natural dyes for the yarn. Today, Maheshwari fabrics are woven in many jewel tones which are derived from chemicals rather than from flowers, roots and leaves. Popular colours today include shades of blue, mauve, pink, yellow and orange, mixed with gold or silver thread. Subtle colours and textures are created by using different shades in the warp and weft. Gold thread or zari is also used in Maheshwari sarees to weave elegant motifs on the body, border and pallu . Maheshwari sarees are distinguished by their vibrant colours, unusual combinations and distinctive designs that include stripes, checks and floral borders. Authentic Maheshwaris have designs that are inspired by the grand temples, palaces and forts of Madhya Pradesh. Popular designs include the mat pattern, which is also known as chattai pattern, along with Chameli ka phool — all of which may be traced back to the detailing on the walls of Maheshwar Fort. Through its evolution, the eent (brick) pattern and the heera (diamond) patterns have survived the test of time, and still have a strong presence in these sarees. There are five popular forms of this lovely weave, namely, Chandrakala, Baingani Chandrakala, Chandratara, Beli and Parbi. While the Chandrakala and Baingani Chandrakala are plain sarees, Chandratara, Beli and Parbi are characterised by stripes or checks. Following India’s Independence, the Maheshwari industry saw a major decline. However, in 1979, the Holkars of this region founded the Rehwa society to revive the dying craft. Rehwa aimed at providing the women of this region employment while saving an ancient craft that distinguished the historical town. Today, over 130 weavers produce over a lakh of fine fabric a year which is highly coveted by top notch designers in the country. Consistent efforts by the government in the form of schemes and benefits also encourage weavers to work and pass on their knowledge to the next generation which keeps this art alive. Under the patronage of Rehwa, the market value of Maheshwaris has increased, especially in urban areas like Delhi and Mumbai. A major export market in France, the UK and Germany provides a continuous supply of work. This also helps innovators keep pace with changing global trends and cater to the tastes of the changing times. 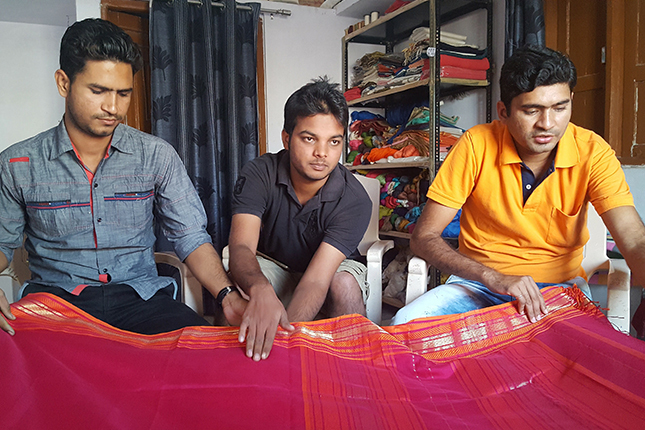 Designers like Soham Dave, Amrich and Eka are some of the frontrunners of the Indian handloom movement and incorporate a lot of textiles from Madhya Pradesh in their collection, including Maheshwari sarees. A modern expression of this fabric makes for its exquisite exotic appeal. 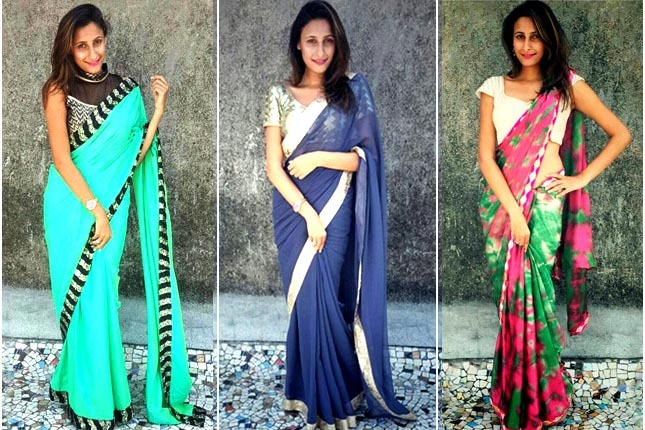 These sarees are gaining steady momentum every year, and therefore, are a must have in your wardrobe. A Maheswari saree is priced at Rs.2000 and above. 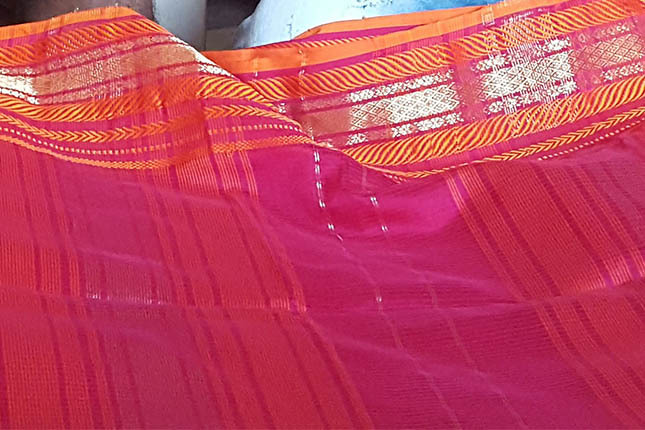 Maheshwari sarees are mostly woven in cotton and silk. These sarees are characterised by a narrow coloured border embellished with zari, and small checks, narrow stripes, or solid colour in the body. The speciality of Maheshwari sarees is its reversible border, also known as bugdi, which can be worn on both sides. The use of zari and kinari is also unique to Maheswari sarees. These sarees are embellished with leaves and flowers on the border, in karnphool pattern. These sarees are known for their unique pallus which are made five stripes, three coloured and two white alternating, running along its width. It’s best not to wash your Maheshwari saree in detergent for the first wash. Use a mild detergent after two or three plain washes, and do not keep the saree soaked in detergent for long. Iron at low or medium heat. 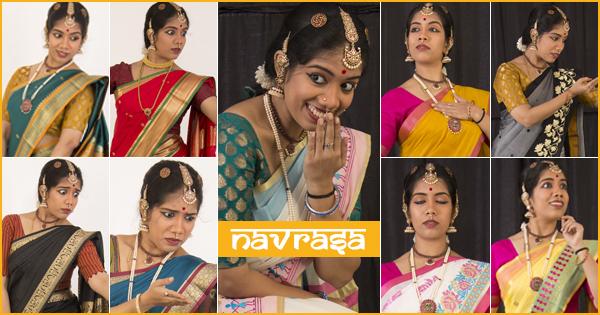 So, right before the season sets in, grab yourself a few gorgeous Maheshwari sarees. Now, a trip to the quaint, historical town of Maheshwar isn’t mandatory for an authentic Maheshwari piece. You can now browse through some of the best designs online, and be absolutely mesmerised by this vibrant and playful fabric.